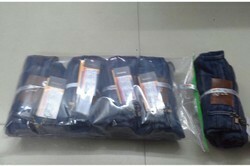 Leading Manufacturer of zipper sliding bag, garment zip lock bag and slider runner bag. from Rajkot. Being a client-centric organisation, we are offering LDPE Zipper Bag that is manufactured with low-density polyethene materials. Extensively used in commercial as well as domestic sector, offered bag is available in customised form to cater the various needs of our clients. Provided lock bag is used for packing various items in a hygienic manner and to protect form moisture. Additionally, the offered product is checked on various parameters by our quality controllers to meet maximum clients' satisfaction. 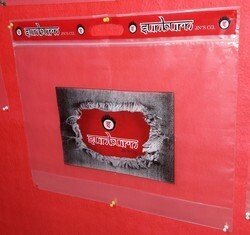 Slider attaches zipper bag is very useful hosiery garment packing available in l.d.p.e and p.p also.